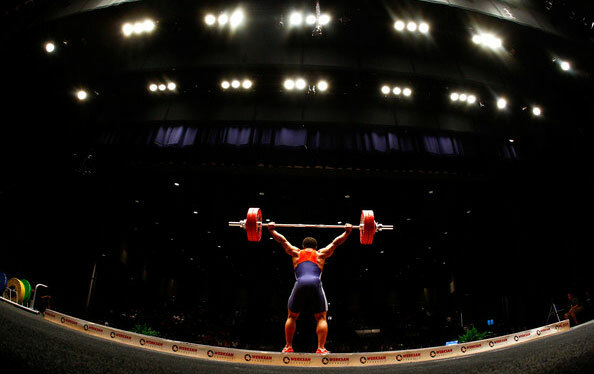 USADA announced today that Cameron Dudeck, of Indianapolis, Ind., an athlete in the sport of weightlifting, has received a four-year sanction for an anti-doping rule violation. Dudeck, 25, tested positive for a long-term metabolite (4‐chloro‐18‐nor‐17β‐hydroxymethyl‐17α‐methyl‐5β‐androst‐13‐en‐3α‐ol (M3)) of dehydrochloromethyltestosterone (DHCMT) and related anabolic agents as the result of an out-of-competition urine sample he provided on June 7, 2018. DHCMT is a non-Specified Substance in the class of Anabolic Agents and is prohibited at all times under the USADA Protocol for Olympic and Paralympic Movement Testing, the United States Olympic Committee National Anti-Doping Policies, and the International Weightlifting Federation Anti-Doping Rules, all of which have adopted the World Anti-Doping Code and the WADA Prohibited List. During USADA’s investigation into the case, Dudeck admitted the violation and his four-year period of ineligibility accordingly began on June 7, 2018, the date his positive sample was collected. In addition, Dudeck has been disqualified from competitive results obtained on and subsequent to June 7, 2018, including forfeiture of any medals, points and prizes. In an effort to aid athletes, as well as support team members such as parents and coaches, in understanding the rules applicable to them, USADA provides comprehensive instruction on its website on the testing process and prohibited substances, how to obtain permission to use a necessary medication, and the risks and dangers of taking supplements as well as performance-enhancing and recreational drugs. In addition, USADA manages a drug reference hotline, Global Drug Reference Online (www.GlobalDRO.com), conducts educational sessions with National Governing Bodies and their athletes, and distributes a multitude of educational materials, such as an easy-reference wallet card with examples of prohibited and permitted substances, a supplement guide, an athlete handbook, and periodic alerts and advisories.